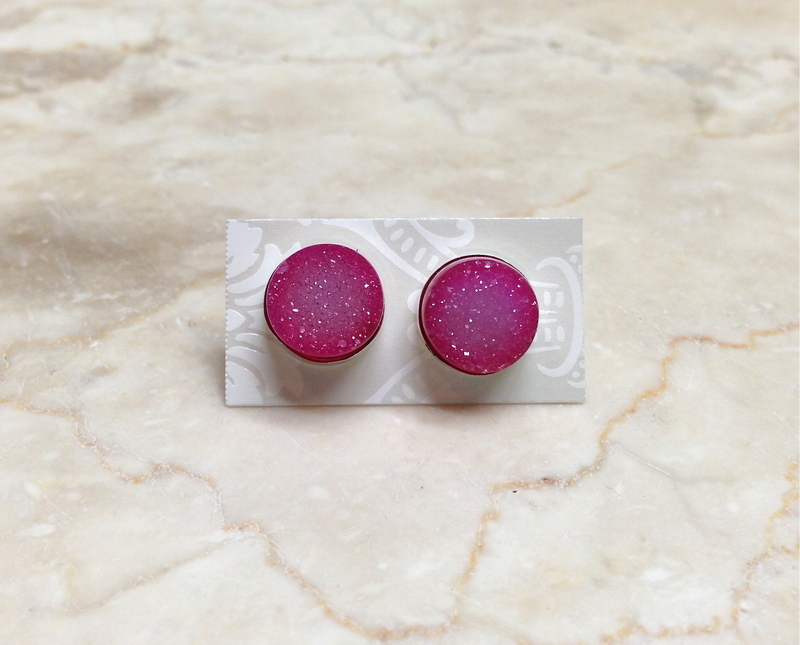 These vibrant pink chalcedony druzy gemstones were custom cut especially for BB, and have been set in handcrafted, understated sterling silver post earrings. 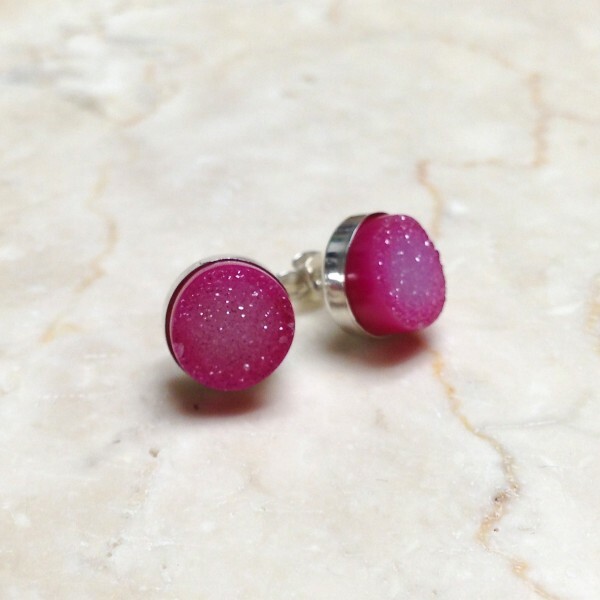 Each pair of earrings is unique, since each natural gemstone has a unique pattern of crystals that developed organically over time across the surface of the stone. So many facets! 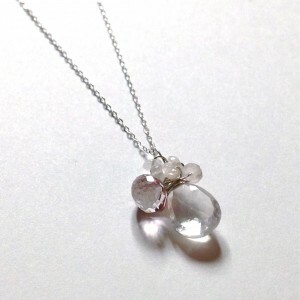 They sparkle like little granules of sugar, drawing light and attention up to your lovely face. 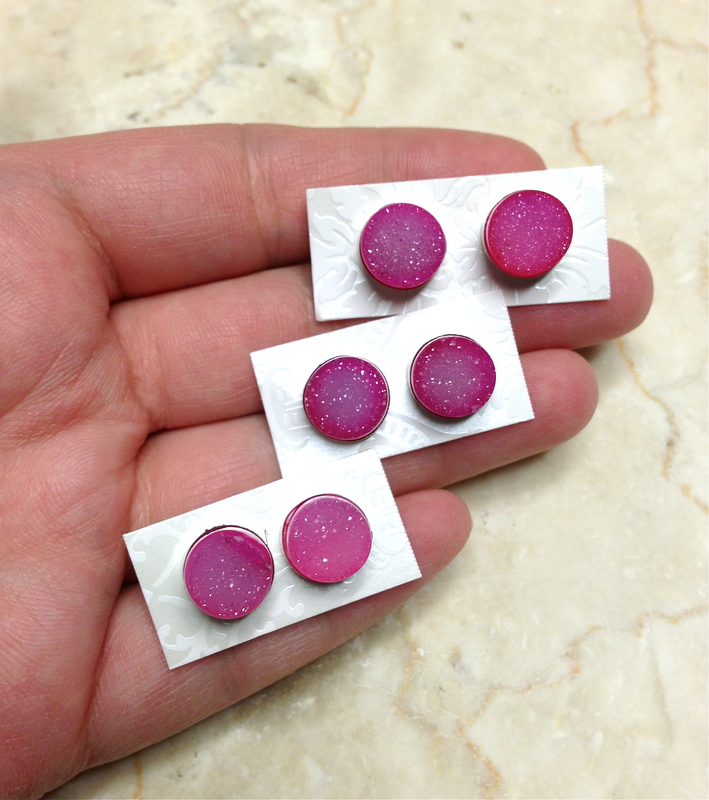 This listing is for one pair of earrings in Pink. Modeled by Sophie, who is wearing the earrings in classic green. 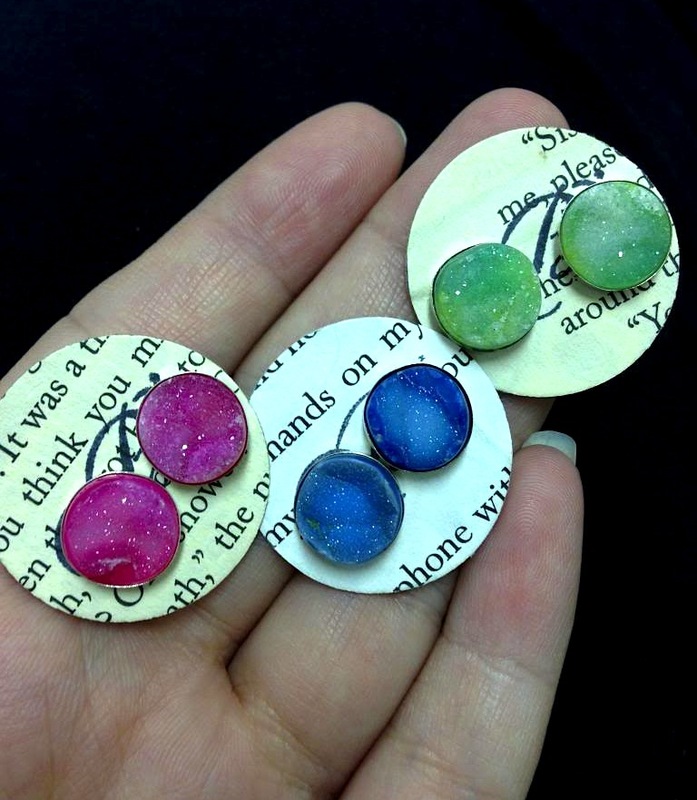 Categories: Druzy Collection, Earrings. 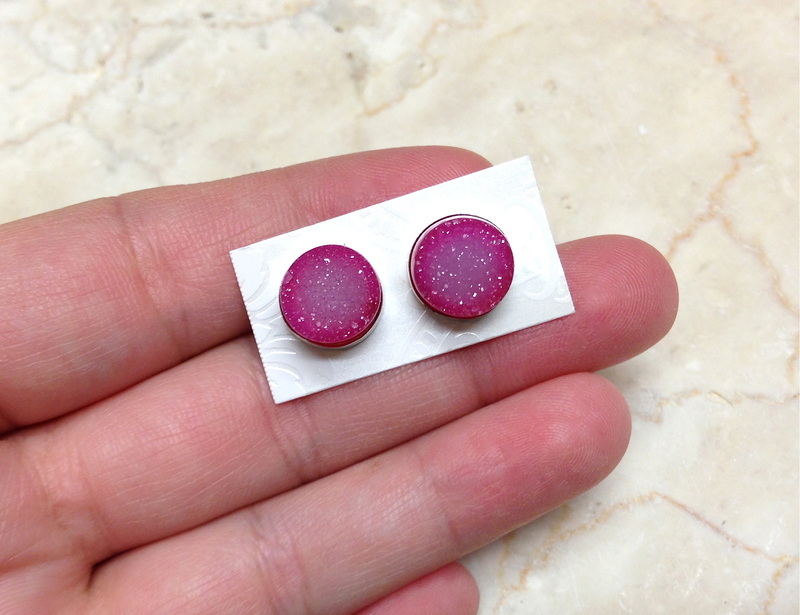 Tags: berry, chalcedony, crystals, druzy, fuscia, gemstone, handmade jewelry, pink, post, quartz, sterling silver, stud. Sugar Druzy Posts are available in a broad variety of colors as shown in the photos (all custom cut at the mine especially for BB!). 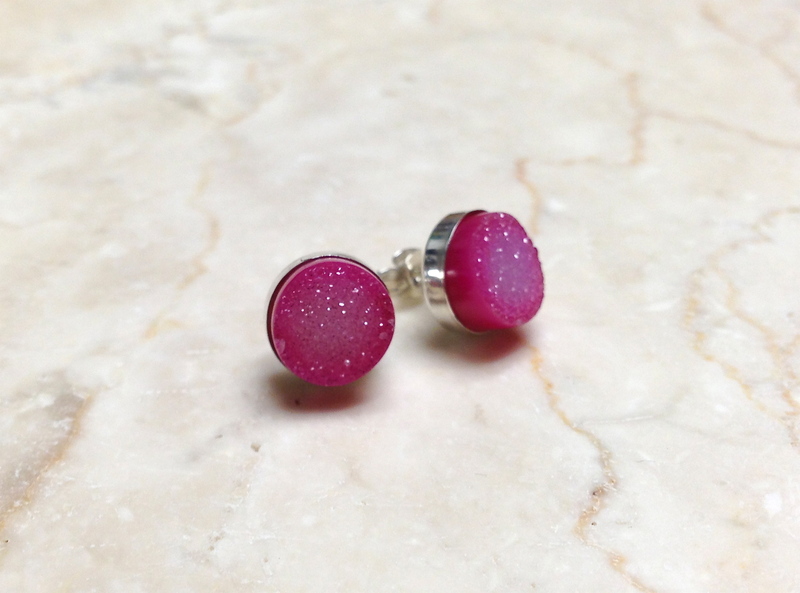 This listing is for one pair of earrings in Pink. Modeled by Sophie, who is wearing the earrings in classic green.